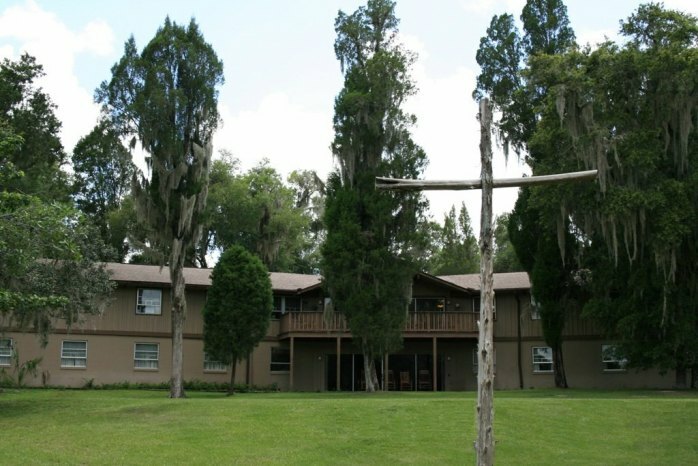 Cedarkirk is a year round camp and conference center owned by the Presbyteries of Tampa Bay and Peace River. It is located on the Alafia River within 170 acres of woodlands, wetlands, and uplands. Cedarkirk is dedicated to providing a place for individuals and groups to have the opportunity for spiritual renewal and growth in a natural environment. We strive to create a place free of distractions, where conversation around the dinner table, canoe trips on the river, and walks in the woods revive and feed your spirit. Our facilities are used for retreats, meetings, conferences, leadership training, camping, outdoor experiences, and more. We serve a variety of church related groups, family reunions, public and private schools, community service agencies, and non-profit organizations. At Cedarkirk, in a place and time apart from busy lives, people find a variety of ways to recharge and grow in God’s love. Whether you are fed through relaxation, prayers, community, challenge, or study, we look forward to serving you.